Includes (AKO) tinted windows, (KI4) 110V outlet, (AQQ) Remote Keyless Entry, (A91) remote locking tailgate, and (DL8) outside, power-adjustable mirrors. 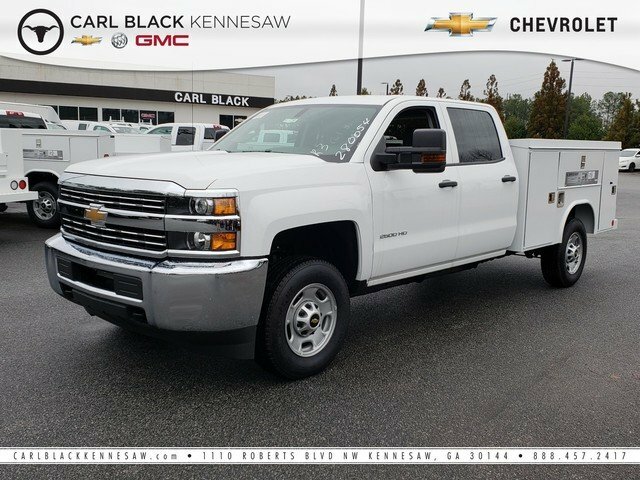 MSRP: $40,800.00Get up to $2,500 Cash Allowance on 2018 Chevrolet Silverado 2500HD Work Truck 4x2 Crew Cab 8' box 167.7in. WB vehicles. Program 18-40ACA, 18-40AER GM US National excl. Puerto Rico & VITax, title, license, dealer fees and optional equipment extra. Residency restrictions apply. See dealer for details. Must take retail delivery by 10/01/2018. 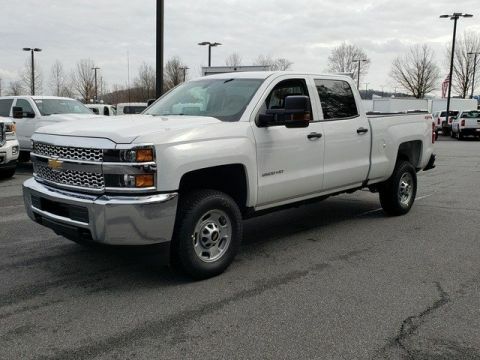 Finance Offers based on MSRP:2018 Chevrolet Silverado 2500HD Work Truck 4x2 Crew Cab 8' box 167.7in. WB finance rates for qualified buyers:0% APR for 36 months 0% APR for 48 months 0% APR for 60 months 0% APR for 72 months 1,500% APR for 36 months 1,500% APR for 48 months 1,500% APR for 60 months 1,500% APR for 72 months The 2018 Chevrolet Silverado 2500HD is built for the long haul. With max available 445 horsepower, max available 910 pound-feet of torque and max available 23,300 pounds of towing, you're sure to get any job done easily. The Silverado 2500HD offers two hardworking, heavy-duty engines designed to put power behind whatever you need. Tow/Haul Mode, adjusts transmission shifts to reduce shift cycling when towing or hauling heavy loads, while trailer sway control automatically detects a swaying trailer and applies both the vehicle and trailer brakes to help bring it back in line. Plus, hill start assist holds the brakes momentarily or until you press the accelerator, giving you extra time to switch from brake to accelerator pedals without rolling back and digital steering assist helps make hauling and trailering easier with electronic controls that enhance road holding and stability on the highway. Let's not forget about the cargo space, with available factory-installed spray-on bedliner, cargo tie-downs that secure 250 pounds each, bed lamps and a cornerstep rear bumper. 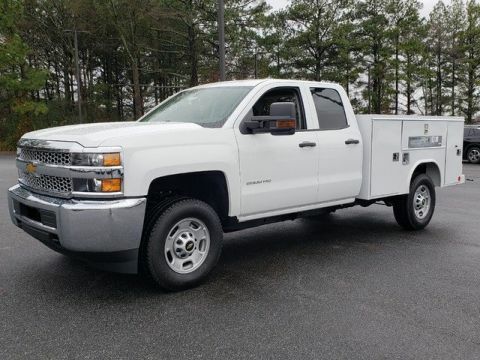 The Silverado 2500HD offers a cabin with the perfect mix of comfort and capability. Featuring Steering wheel controls to answer phone calls, manage the 7-inch or available 8-inch diagonal color touch-screen display and cruise control, USB ports and an available 110V power outlet, an available wireless charging pad for compatible smartphones, firm foam seats and a quiet cabin thanks to sound deadening materials and inlaid, triple-sealed door, you won't want to work anywhere else. 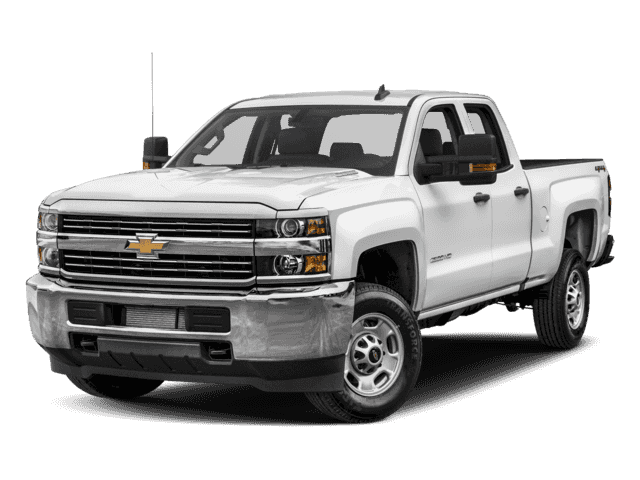 Drive with confidence knowing the Silverado 2500HD offers safety technologies to help you stay safe while you're on the road, including forward collision alert, lane departure warning, front and rear park assist.